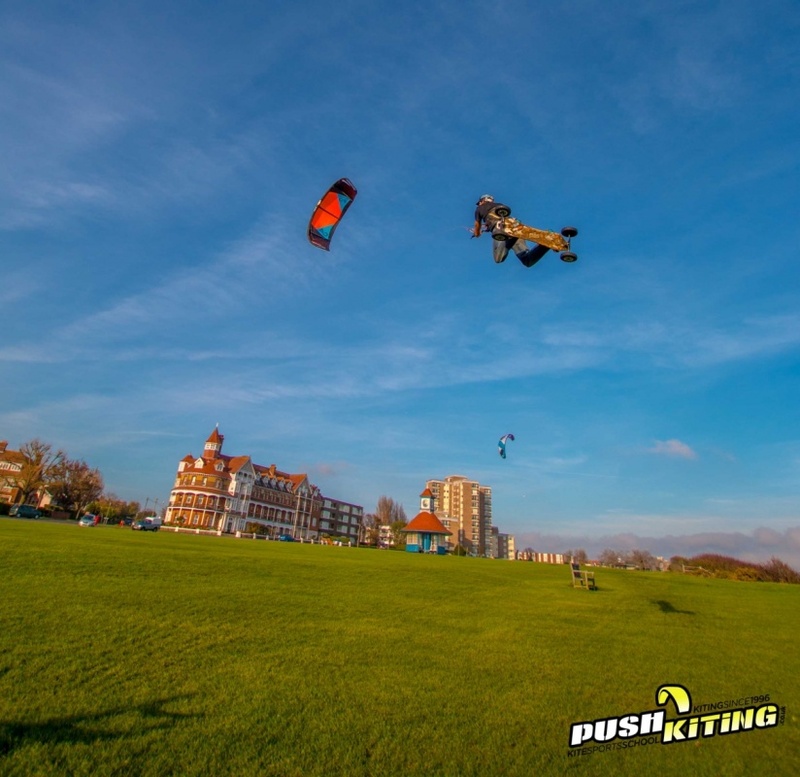 2 Days of Kiteboarding action taught by the PUSH Kiting team as featured on the Discovery Channel and BBC1 Home away from Home. 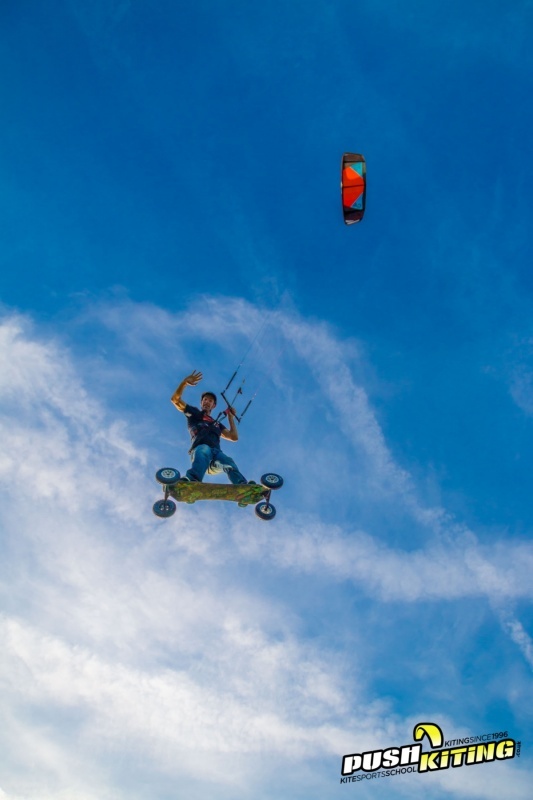 Full action fun with amazing land-based kites and premium all-terrain kiteboarding you’ll be smiling ear to ear, and be set up for a well-informed future of kiting, with all the kite based background you will need to safely practice kiting with friends and family. 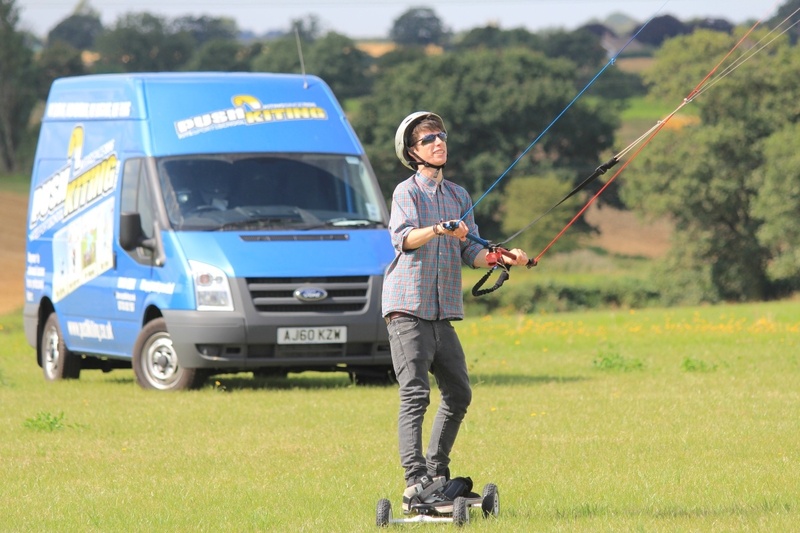 Whatever type of lesson you need, feel free to e-mail Dave or call on 077360 52967 to book a slot or have a consultation about lessons. 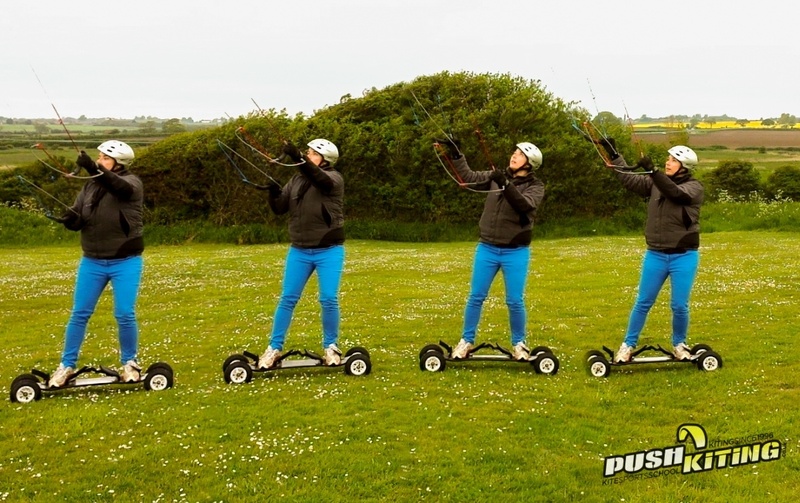 These lessons can accommodate up to 18 people with our BKSA instructors if you’ve got a party or group looking for an adventure then get in touch! 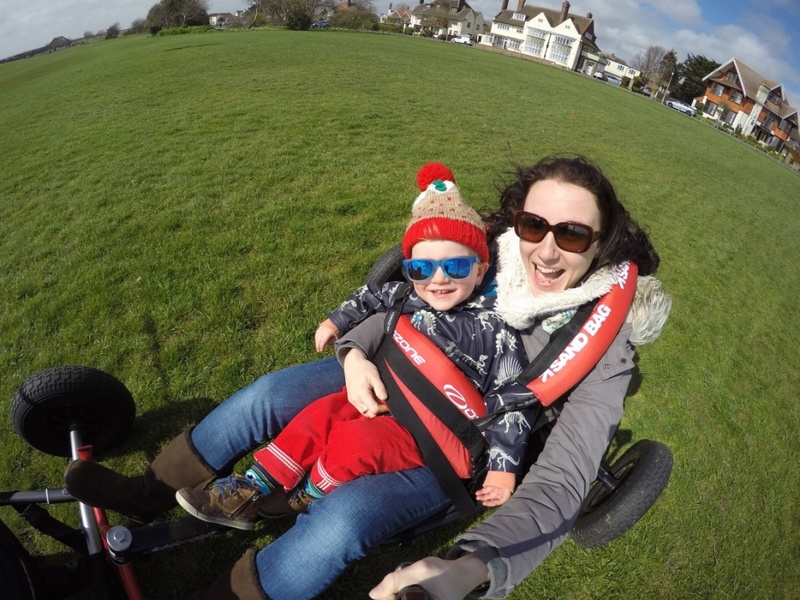 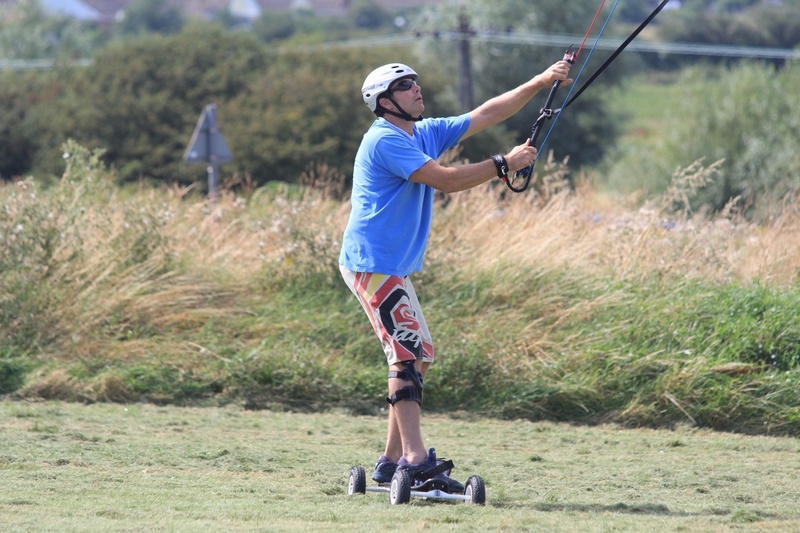 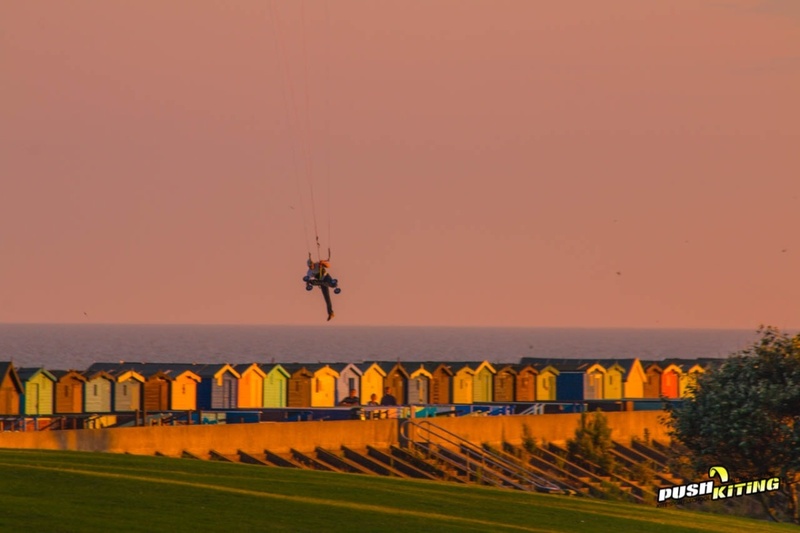 In our 2 day Kite landboarding course you’ll be pulled around as you experience the fantastic power or the kite, then whisked about on the board as you apply your multi-tasking skills! 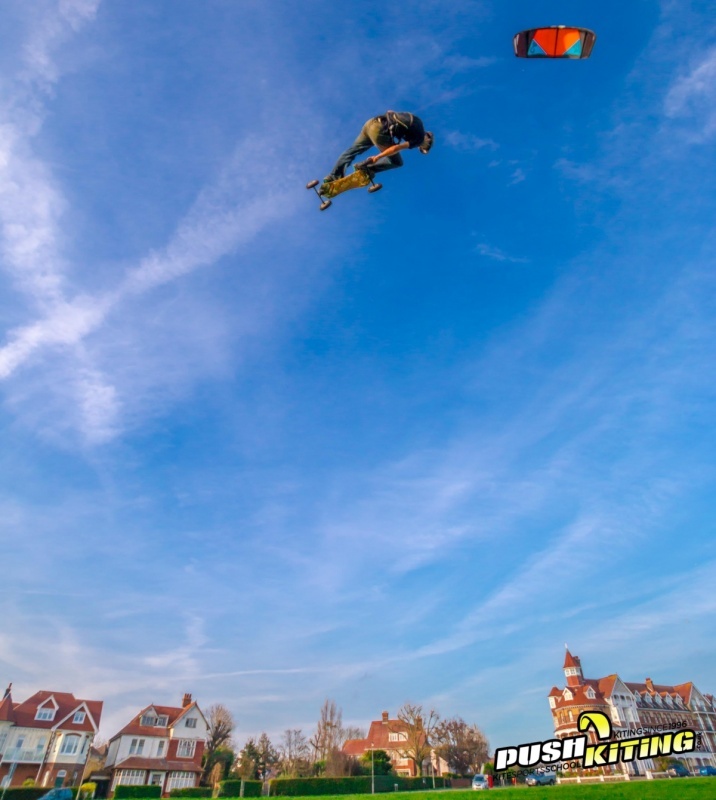 Sometimes you’ll be looking like a pro, sometimes like a comical clown bouncing around, enjoy some kiteboarding photos here and in our media gallery. 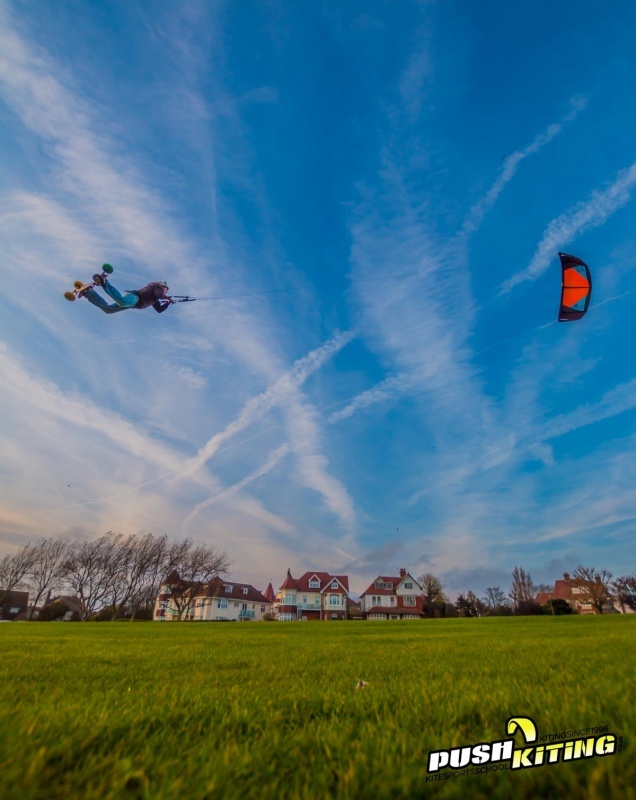 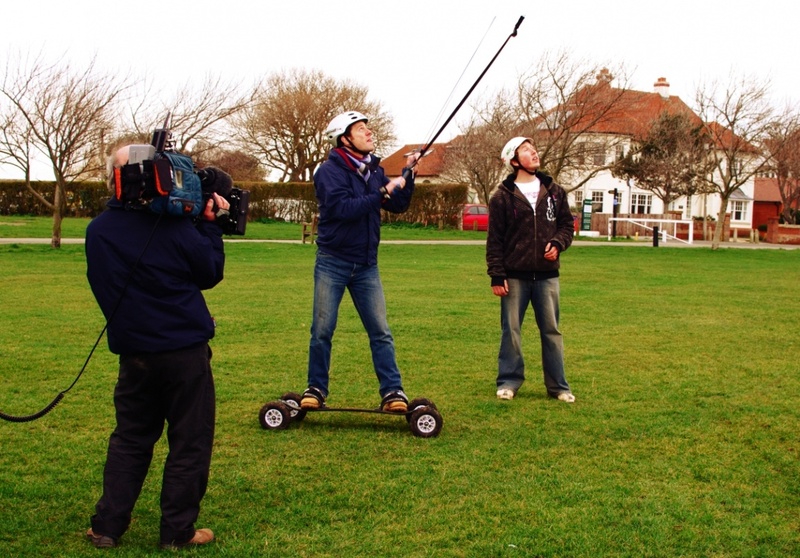 What’s the Two Day Group Kite Land Boarding Course? 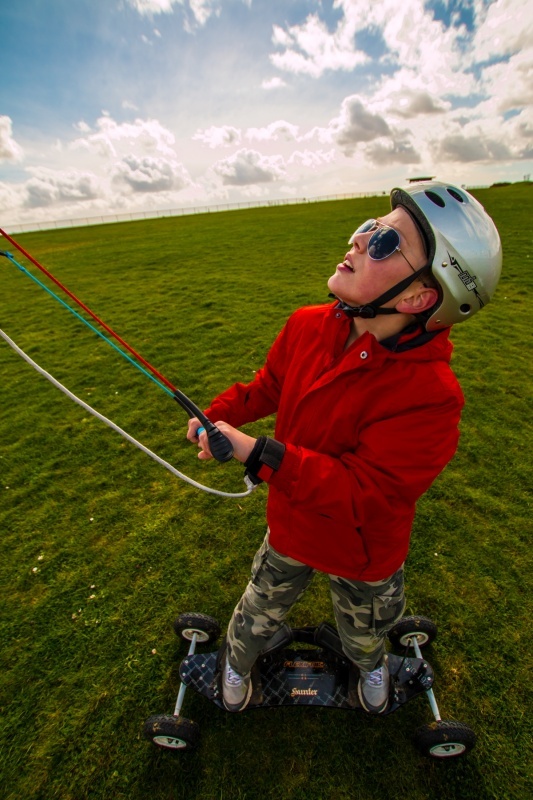 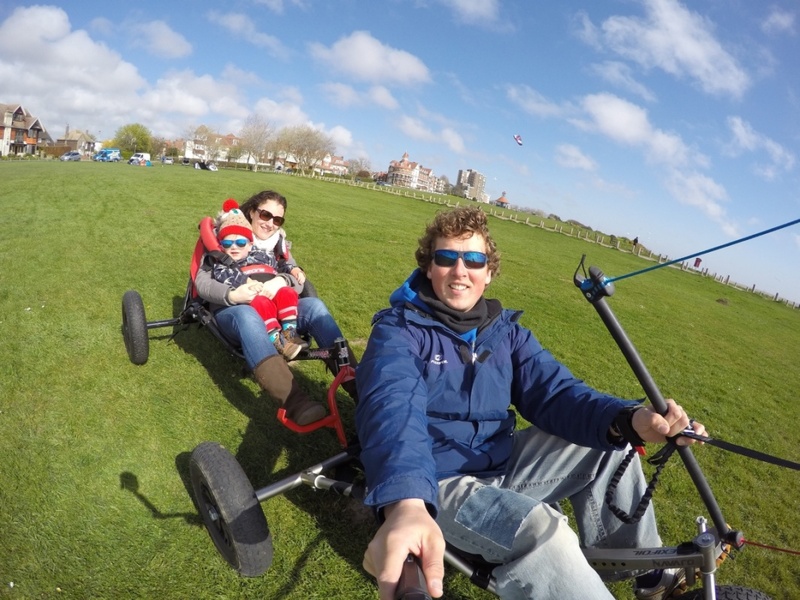 A Two Day Group Kite Land Boarding Lesson – up to 6 people per instructor. 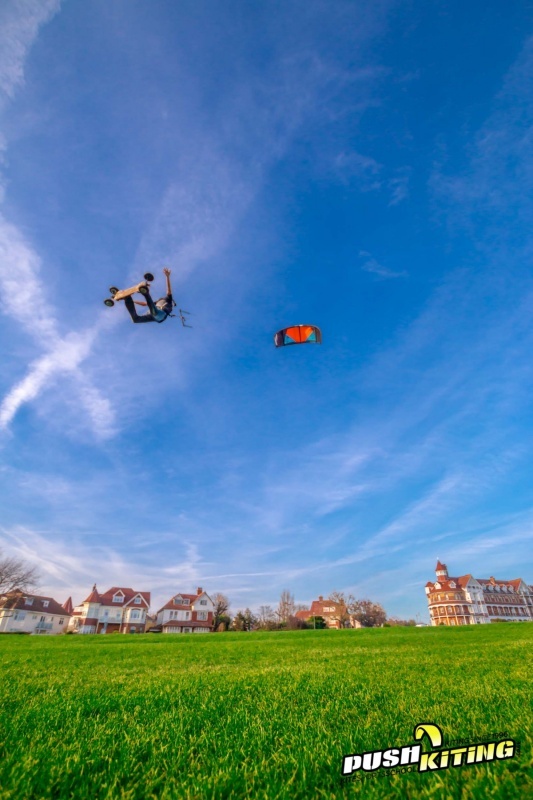 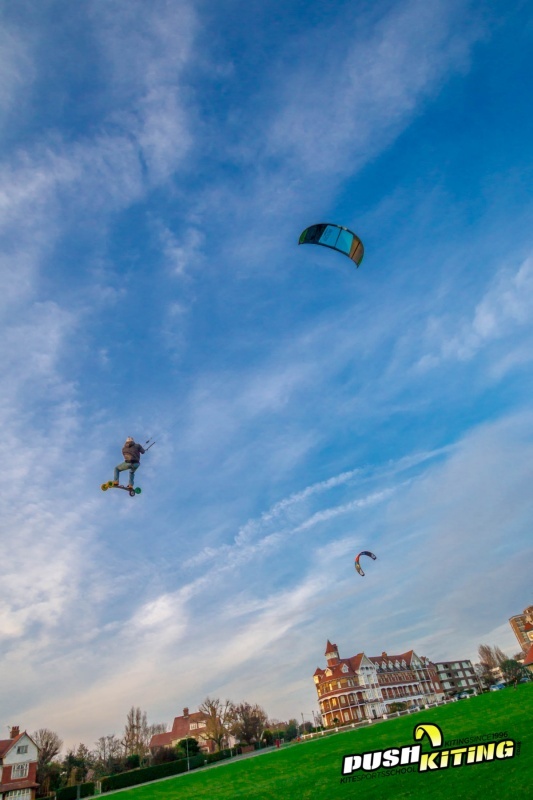 Who’s the Two Day Group Kite Land Boarding Course for? 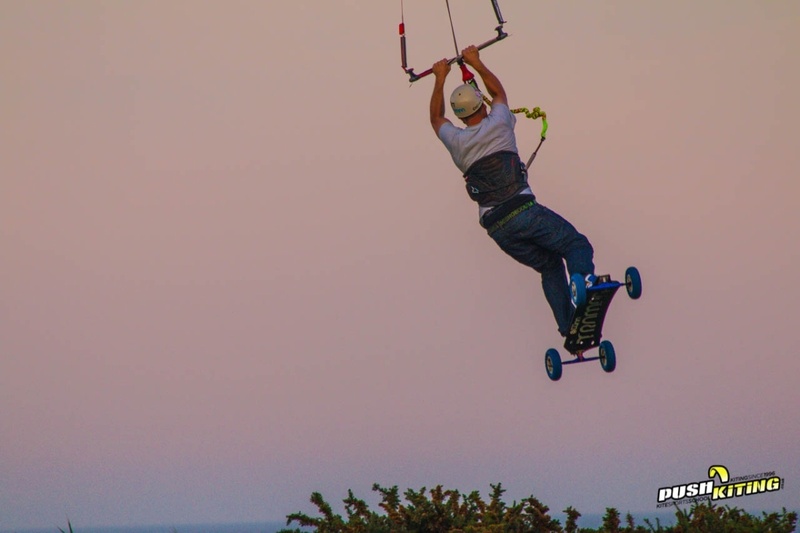 Either you want two days of fun to try a great sport or you want to take up kite landboarding as a sport and want to know all the basics, this course covers it all – you may not be a kiteboarding legend by the end of the course but you’ll know everything you need to practice and progress with friends after this course. 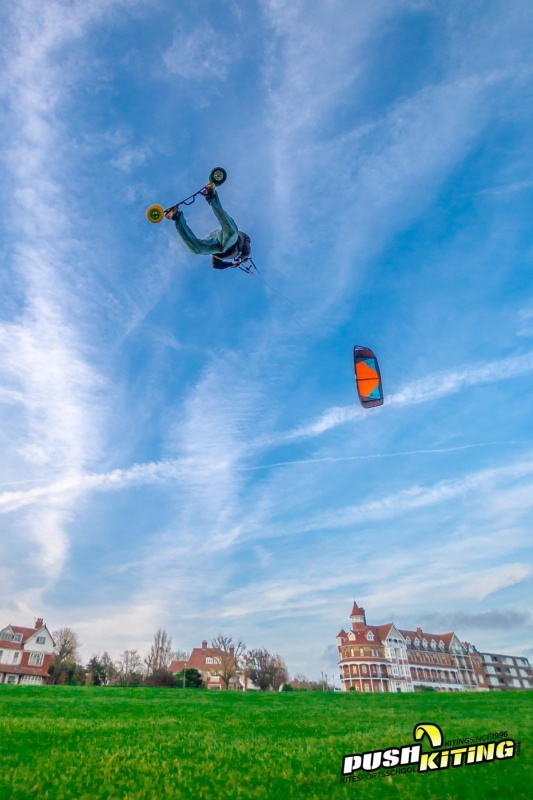 We’ll take what you’ve learned in the first-day course (which is the same as the one-day kiteboarding course) and start to elaborate and extend your understanding of kiting, building on the power your holding down. 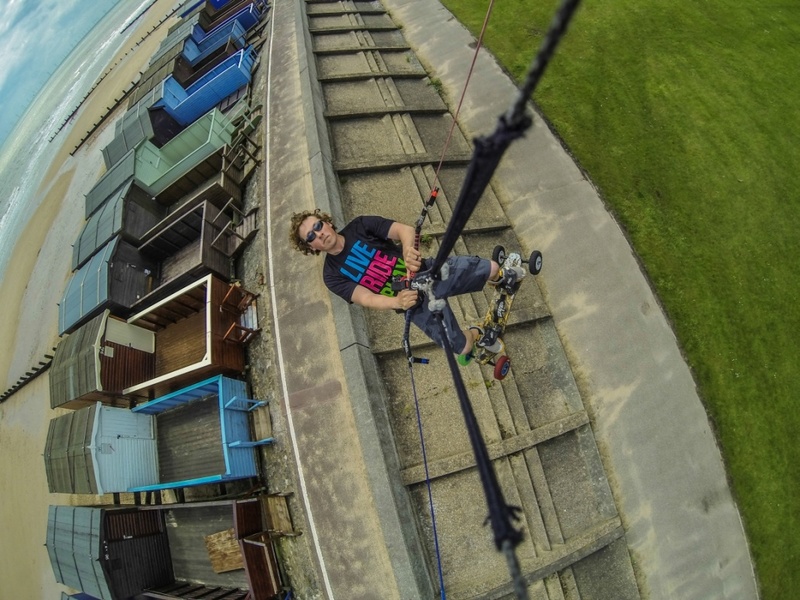 Please come along with a pair of standard shoes that you would use for sport and sunglasses. 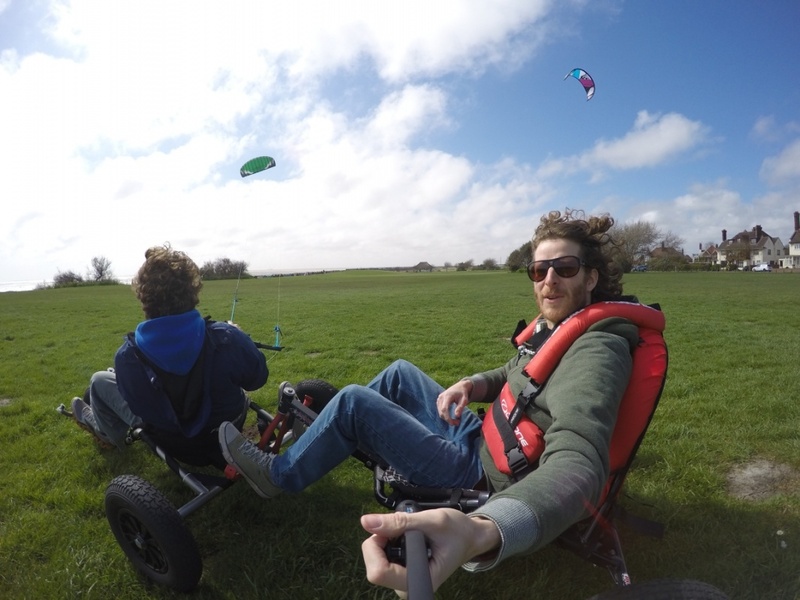 Bring three or more friends and you could get a 5% discount off your course Quote “2dayland5%” when booking. 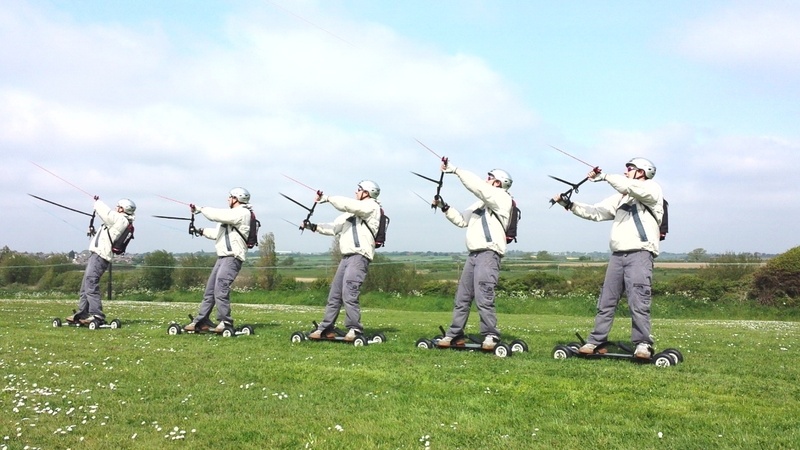 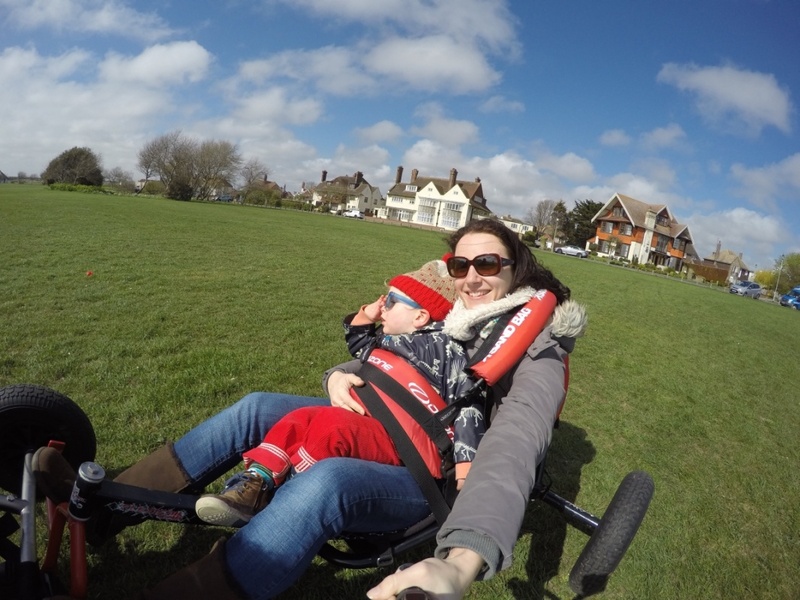 have been on two one-day courses with Dave from Pushkiting, one on water, one on land. 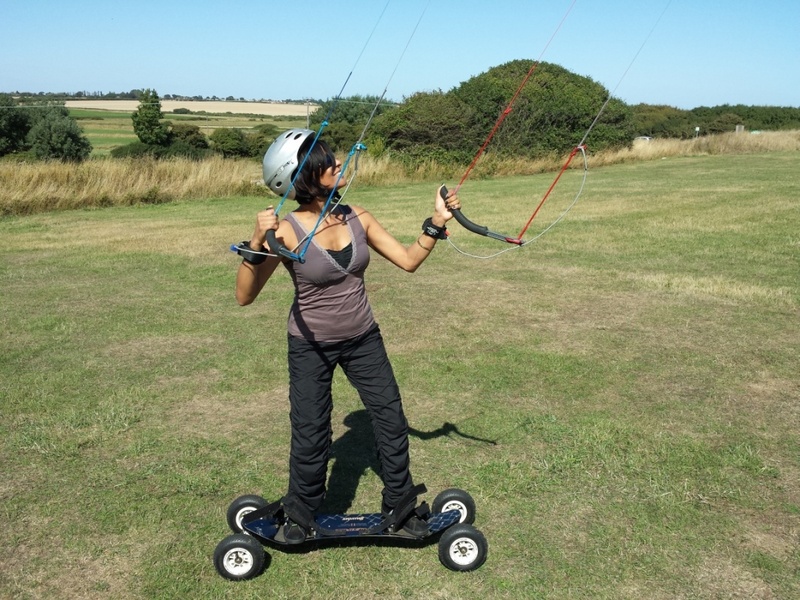 After the course, I feel more confident and will definitely join again for another course, getting me ready for flying through the summer with kite and board. 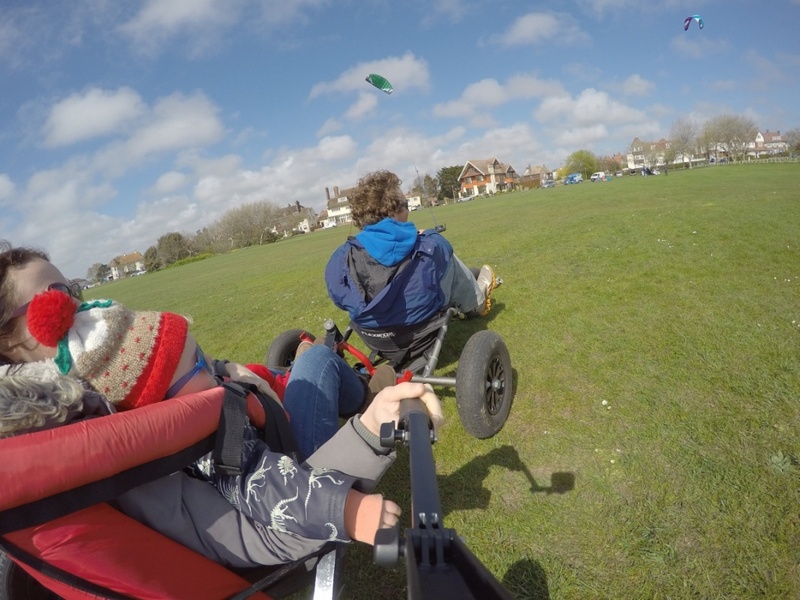 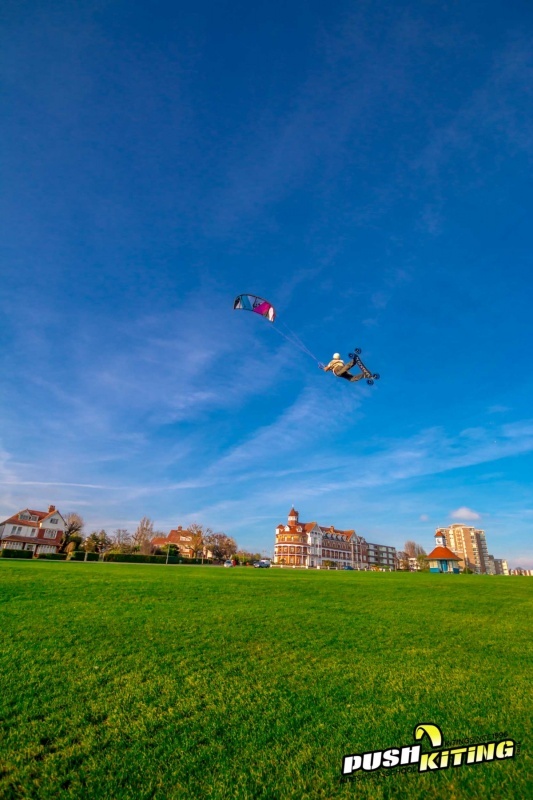 I will be buying a kite or two and booking in for some more lessons to gain progress in kite and land board control, so with that in mind I hope to see you very soon, I couldn’t recommend your instruction highly enough, thanks again.